One thing that I have noticed while selling digital outdoor space is the lack of imagination that has kept some advertisers from using the medium properly. Because of this, the advertisers didn’t get the return on investment that they could have. They used digital in the same manner as they would with a static board, running only branding and directional messages. While a digital billboard can certainly function that way, it is a bit like buying a Swiss army knife and only using the knife. There are other tools included that could be utilized. Instead of only branding, why not use it for price points, events and promotions. Day parting, dynamic content and conditional (trigger) content are the tools you should pitch so that these advertisers have the right message displayed at the right time. As operators, we own the responsibility for properly educating our clients. 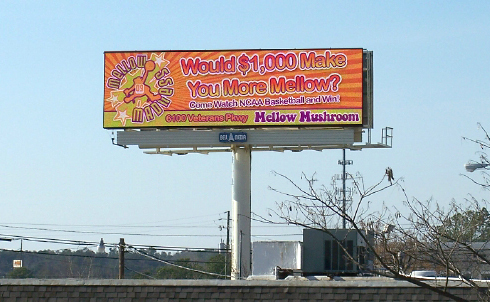 Advertisers may not know all the great functionality these digital billboards have. They could be using the right tools to get a better return (and renew their space contracts). Getting them educated and engaged is the key to your mutual success. The next time you are meeting with a new customer, why not get them excited about digital billboards by showing them how to use the can opener, fish scaler and nail file. A little education up front may help you win a longer advertising contract later. To learn more about the strengths of digital outdoor, download our white paper, 10 Strategies to Succeed with Digital Billboards. Get expert advice on where and how to deploy your first digital structure from OAAA industry leaders.